Any chance of a video, Simon? Just waiting for the right sort of weather. It will be slow flyer for sure and my grass field is pretty rough, soggy, grass at the moment. I can hand launch it easy enough but it really needs pretty calm conditions (no turbulence from the surrounding big trees!) to stand a chance of achieving any sort of smooth first landing. Now fully complete with some scale cowling details. Carb intake on top, oil cooler below. I am having to resist hard as there are many things about it that I could do better next time! I know what you mean about the weather i have been waiting since Christmas to maiden 3 of my models. Weather is terrible at the moment. After a long wait almost perfect "maiden" weather this morning - it flies! and with a rare for me ROG as well! No real problem except it needed full down trim so I left the flaps alone. It does indeed fly 'silly slow' so the lack of flaps was no issue. Kept reasonably high to start with but it does not seem to have a odd habits. The landing was relatively, power off glide down and just 'fly on' with no attempt to '3 point'. The soft sprung U/C certainly coped with the uneven surface. Finally the penalty of flying from very muddy grass - well it is February! Great job - well done. What do you make of the the full down-trim thing? Do you think it would benefit from increasing the motor down-thrust angle a touch? 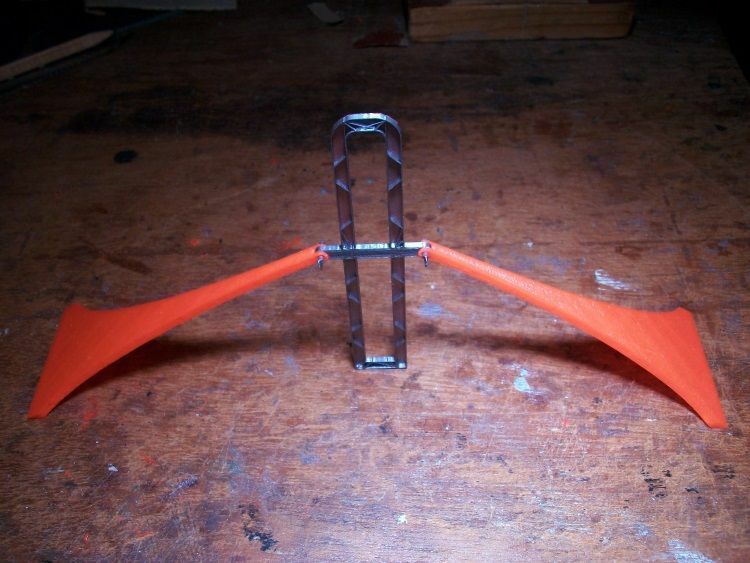 Would it fly even slower and on slightly less power with more down-thrust? Beautiful scale speed flying. Wonderful model too. Thanks - it is always satisfying to complete a maiden, particularly on a scale scratch build! I am not that keen on down thrust on scale planes particularly on ones with a big radial up front! The addition of down thrust does not directly contribute to slow flying but only by minimising any related speed/trim adjustment. The full size has no down thrust so the pilot has to manually adjust the elevator trim as appropriate. 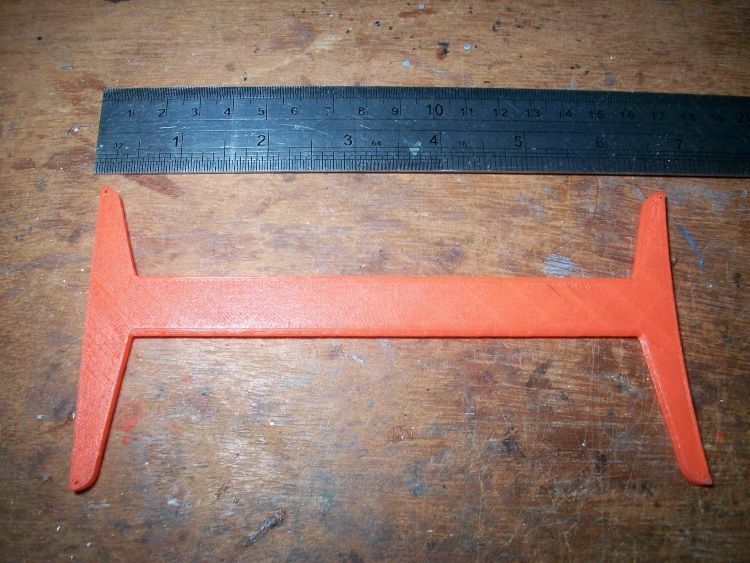 On particularly high powered model planes a serious trim change can be compensated for by a throttle/elevator Tx mix. For the AN2, with flaps on both wings, I am however expecting a flap/elevator mix will be required. On a purely technical issue I am not sure down thrust actually reduces the power require to fly as it adds a 'down' component to the thrust force which requires more lift to counter. On the other hand no down thrust requires some down elevator adjustment. Six of one, half a dozen of the other? Almost as slow as the full size. Very nice model. You’ve captured it Simon. Spot on. With the continued unseasonal weather the AN 2 has flown again with the elevator linkage adjusted and the battery moved forward 20 mm. The object was to test the flaps. With full flap it made very slow progress into what was a very gentle breeze. Of course there was a huge apparent difference is speed of about 3:1 as it turned down wind! The other factor duly tested was the break away undercarriage! An untidy landing with a noticeable cross wind gust caused the LH bracing to break cleanly away from its fuselage mountings. No other damage so print another and install - simples! This is the position of the elevator in normal 'trimmed' levle flight. 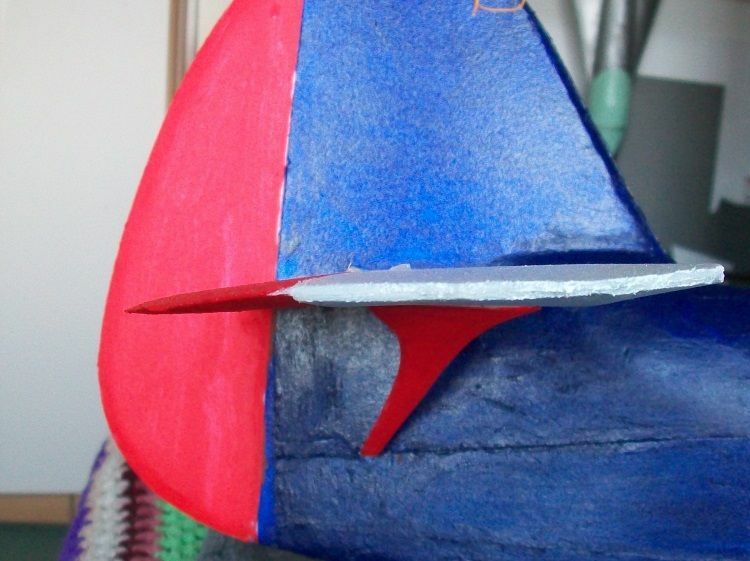 I don't want to move the battery any further forward as it will cause it to nose over too easily so the only alternative is to adjust the tail plane incidence a degree or two. It will require some careful 'surgery' to achieve. I really mustn't grumble as it does fly just like it is supposed to - slowly! Congrats on the Maiden, as for the undercarriage you was already prepaired for that so no disappointment their. 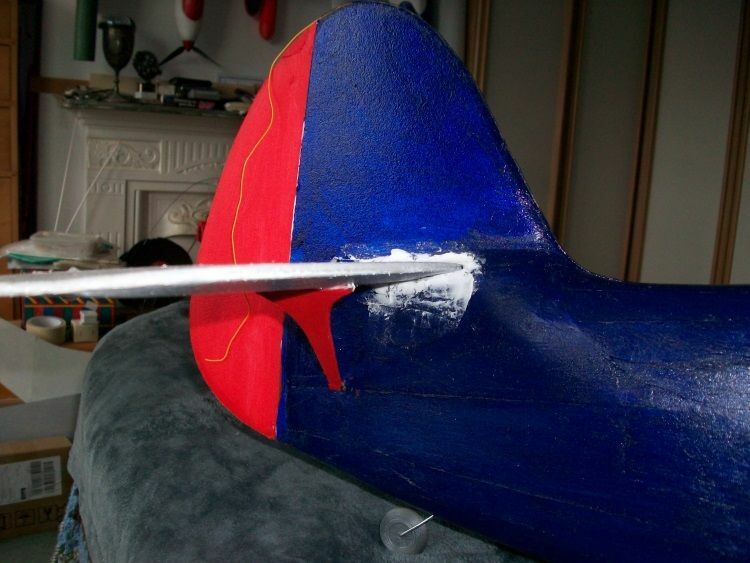 Its tail plane has been carefully cut out from the fuselage, the slot enlarged and re-glued with the leading edge raised by 2 mm. This brought the tail plane inline with the required down trim of the elevator . 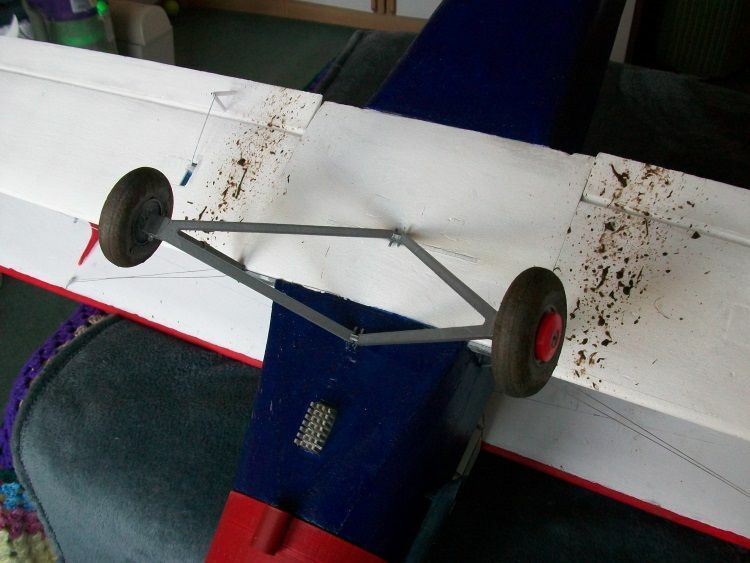 The elevator linkage has now been adjusted so neutral trim is now inline with the tail plane. Should be about right but of course the weather is now far from suitable for test flights! 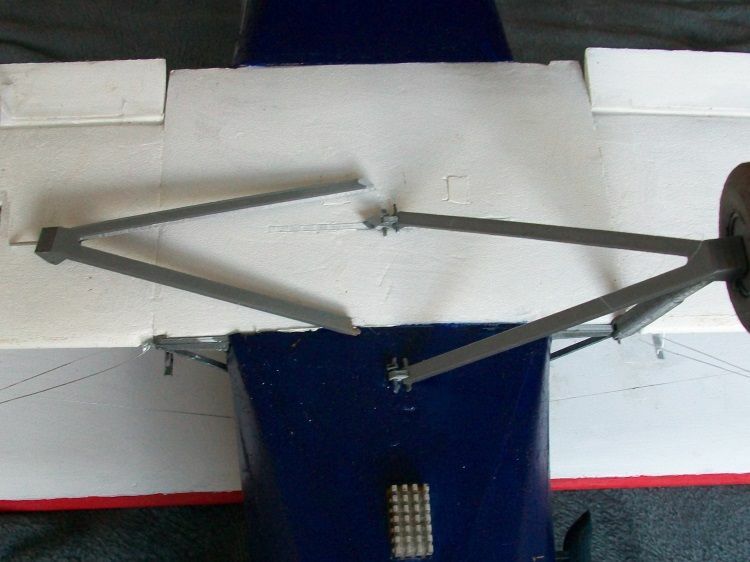 The undercarriage legs have been reprinted to give a couple of degrees of toe in as pushing the AN2 forward caused the U/C to tend to 'sink' whereas moving backwards caused the opposite. 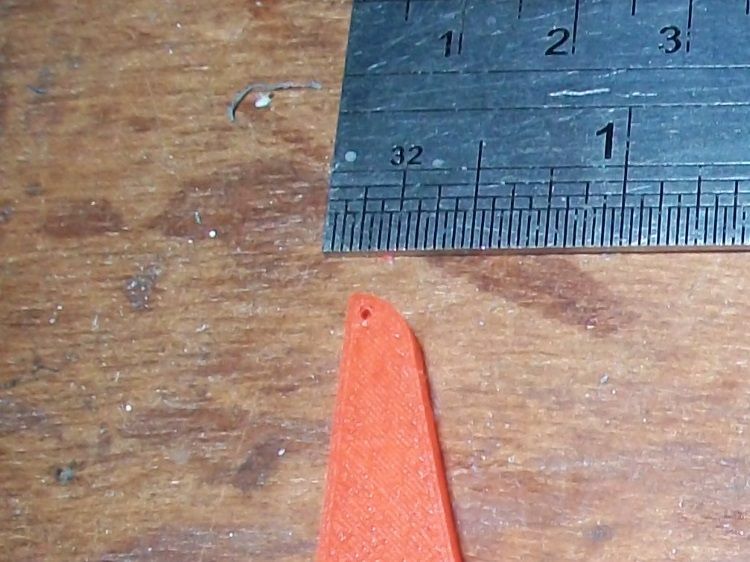 The is almost no balsa in its construction just in part of the wing struts and tail plane braces so I set about printing these as well although I have no intention of fitting them unless a crash requires it! There is a small (0.8 mm) hole at the end of each "leg". This allows the rigging can be directly attached to the strut rather than the complex inserted "tabs" I used originally. Being self colour they do not have to be painted either. 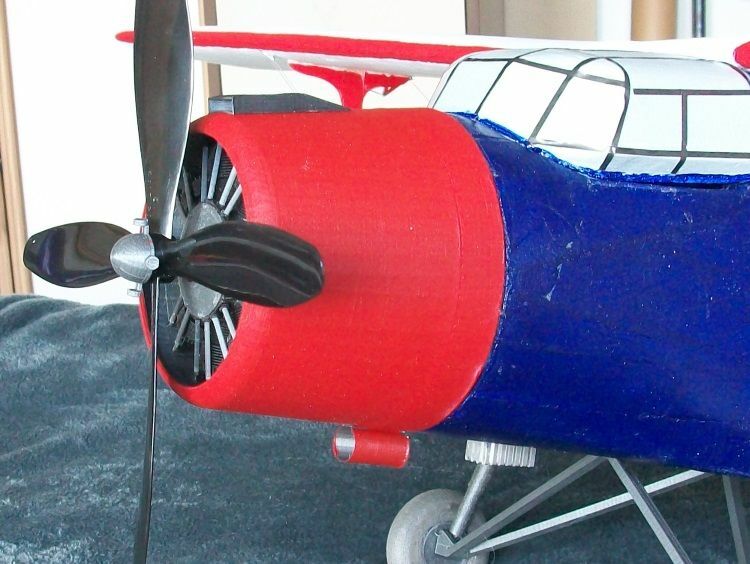 The tail plane braces require a modified fuselage former so would require rather more surgery to actually fit. Of course the assembly is upside down in this picture but note the use of printer filament to create the attachment pins. These bits will be kept in the 'spare parts' bag for future use - if required! With good weather last week I managed another video. Edited (full flight was 8 minutes) showing 3 passes with increasing flap. It also includes a rather untidy loop and roll. The grass was just a bit too long and rough for a perfect landing but no damage. It looks great Simon, nice and gentle, just like the full size. With a nice gentle landing at the end.